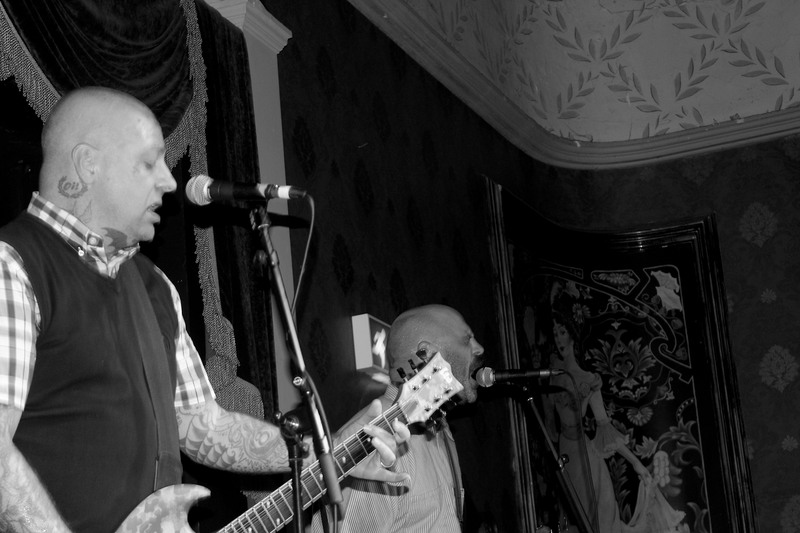 Lars Frederiksen, The Old Firm Casuals. The Empire Music Hall. 31.01.19. 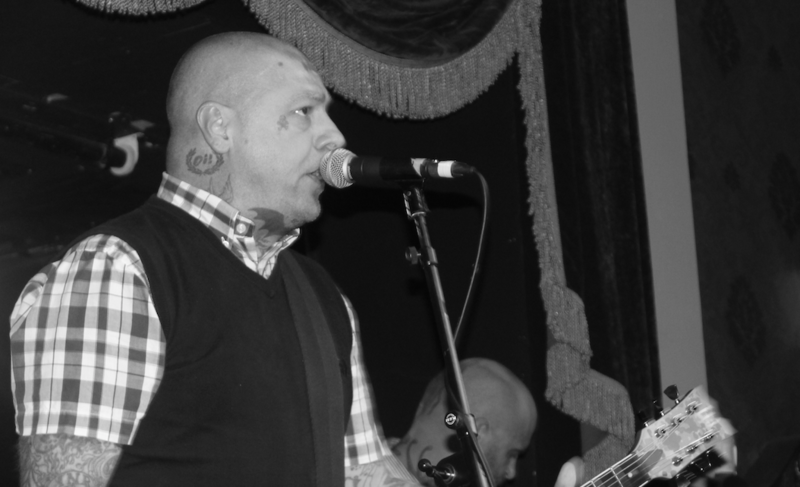 US street punk band,’The Old Firm Casuals‘ fronted by Lars Frederiksen from ska-punk stalwarts Rancid strolled into Belfast and performed to a crowd in the Empire Music Hall, Northern Ireland. 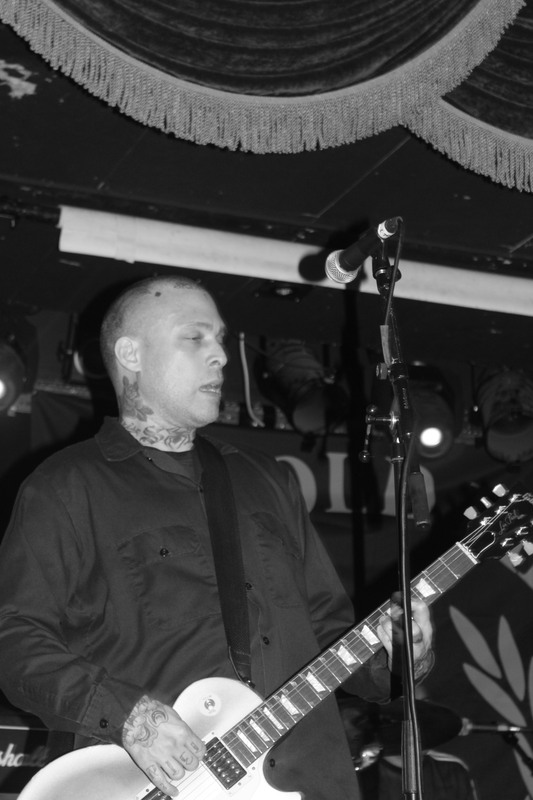 San Francisco wartime Oi punkers played a string of songs from their record ‘This Means War’ among other songs like ‘Born Criminal’ and also treated fans to new songs like ‘Motherland‘ from the latest record ‘Holger Danske’. During the set Lars told the audience how one of his relatives was a member of the Danish Resistance and fought the Nazis during World War Two. He also made sure the crowd knew ‘The Old Firm Casuals‘ were Anti-Fascists and explained in our current modern world fascism is coming from the left and right wing. A stark reminder to not let History repeat itself was the message and to resist such a mentality. Big thanks to ‘Colin Hennessy’ for the kindness of free ticket & push forward to gig. 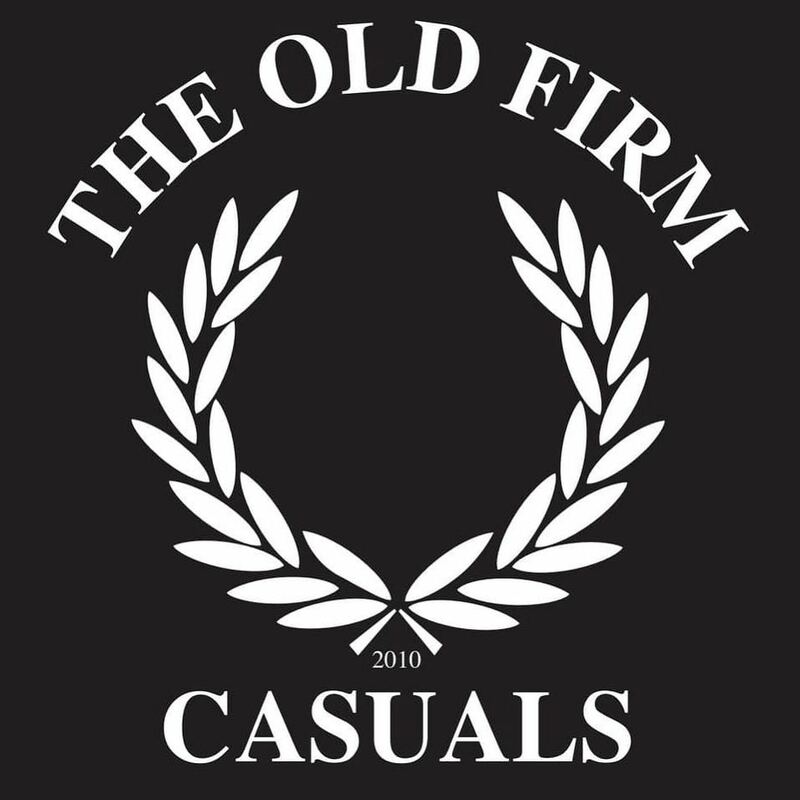 ‘Old Firm Casuals‘ were supported by Belfast Punk band The Defects and United Bottles. This was the first gig of their 2019 UK & Eire tour. Fantastic show. Lars Frederiksen, Gentleman as always. Gabriel Gavriloff, The Old Firm Casuals. 31.01.19. 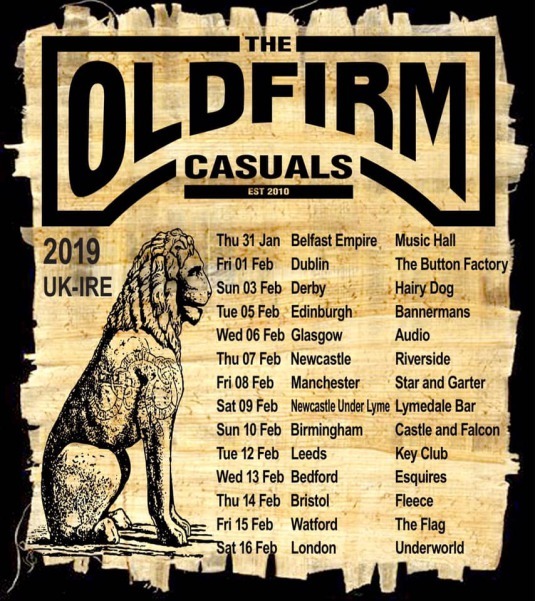 The Old Firm Casuals 2019 Uk & Eire Tour.